Tall and stalky, with the look of a spring onion and the sweet aroma of fragrant lemon, lemongrass is a popular ingredient in Asian cuisine. Lemongrass recipes are found widely in Malay and Thai food, particularly fish cakes, curries and sauces, and is an apt match for fish and seafood. Lemongrass can be purchased fresh or dried, and can be used whole, chopped or pounded into a paste. 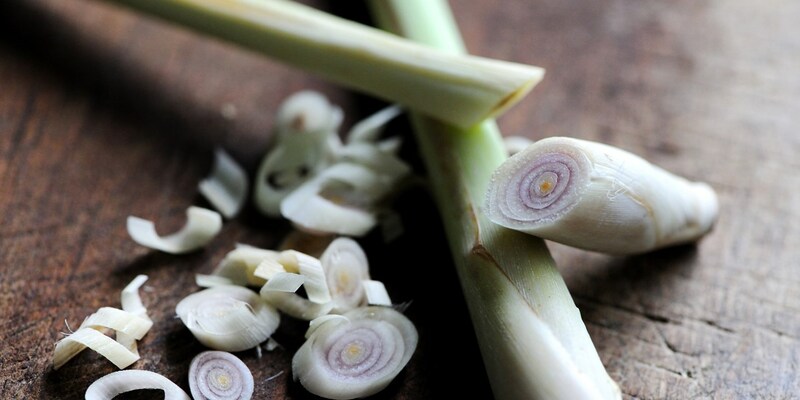 Whole or chopped lemongrass is ideal for seasoning soups and sauces, where the lemongrass is removed before serving. You'll find lemongrass in Kevin Mangeolles' consommé recipe to go with pan-fried halibut, and in Alan Murchison's Thai-inspired galangal broth for sea bream and pak choi. Lemongrass recipes are finding their way into European cuisine as well. For example, Galton Blackiston uses lemongrass with tomatoes and white wine in his sea bass recipe, served with pea and mint soup. Sweet dishes, too, can benefit from the fragrant lift of lemongrass, as in Richard Corrigan's lemongrass and lime sorbet which accompanies his passion fruit parfait recipe. Dried lemongrass also makes a lovely herbal tea, which is an excellent palate cleanser after a meal.